Settle in for a relaxing stay in our beachfront accommodations with feature amenities designed for comfort and convenience. Contemporary decor, plush beds with crisp linens, and cozy bathrobes and slippers invite you to kick off your shoes and stay a while. Large windows offer plenty of natural light and private balconies beckon with sweeping views of the Indian Ocean. Flat-screen televisions with premium satellite channels keep you entertained during your stay, and bathrooms with large walk-in showers keep you refreshed after a day of adventure. Enjoy a prime location along the beach, and get your day started with complimentary coffee and tea in your room, then set out to explore all the local sights and cultural attractions close by. 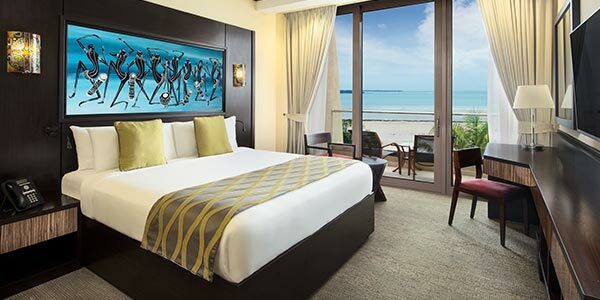 Surround yourself with comfort and luxury in our superior rooms that feature a plush King bed, crisp linens, bathrobes and slippers, flat-screen televisions with satellite channels, mini bars, private balconies, and views of the ocean or gardens. 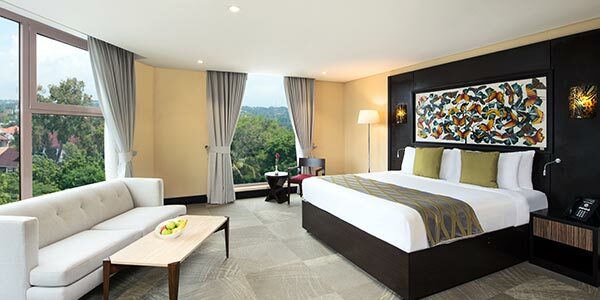 Relax in our Junior Suite that features a plush King bed, crisp linens, bathrobes and slippers, flat-screen television with satellite channels, and mini bar, with plenty of extra room to accommodate a small group looking to explore Tanzania. 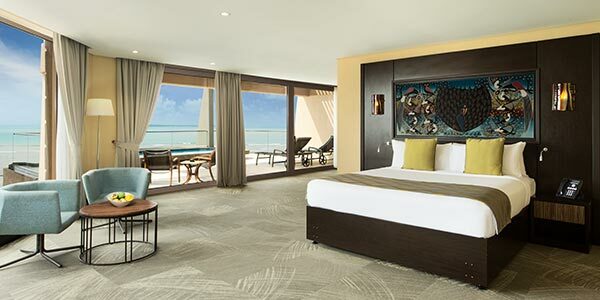 Business travelers can relax after a day of work or play in our Executive Suites that feature a plush King bed, crisp linens, bathrobes and slippers, flat-screen televisions with satellite channels, mini bars, private balconies, and views of the ocean. 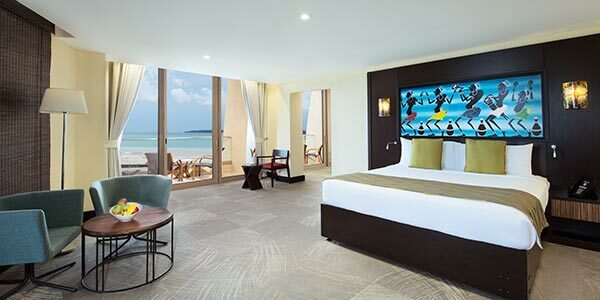 Enjoy complete relaxation in our Penthouse Suite that features a plush King bed, connecting room option, crisp linens, bathrobes and slippers, flat-screen television with satellite channels, mini bar, private terrace with a whirlpool, and views of the Indian Ocean.